Sometimes you can get inspired by reading the blogs. Today, Fr. 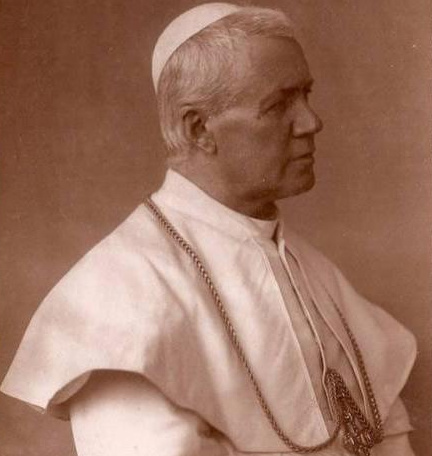 Mark posted on his blog the Apostolic Exhortation Haerent Animo by Saint Pius X. Given that today is the 100th anniversary of the exhortation’s publication and the feast of Saint John Baptist Mary Vianney, reading Haerent Animo was excellent spiritual reading. It took me the better of the morning to ponder what the saintly pontiff was saying, not because the prose was difficult, or the concepts too mysterious but because I kept stopping to reflect on my concrete experience of priestly formation and thinking of the lives of priests I know. I was sadly dwelling on the problems the priesthood has had in recent years. The point is that the priest’s conduct must be stellar for fear of causing scandal in others. But fear of causing scandal ought not be the criterion for doing what the Pope re-proposes: the encounter with honesty, faithfulness, love and Christ ought to be included. Say it another way, an overgrown plant will bear no fruit. So our responsibility is to be watchful, be vigilant, and pray. This work will lead us closer to Christ in His words and in His actions; this work will lead to a deeper friendship with the Lord; doing this work will lead to holiness of life. One thing the pope mentions is forming priestly associations to create a closer union among priests, to help one another in difficult times, to develop a taste of sacred learning, to have a solicitude for each other’s vocation, and to identify the skills needed to effectively preach the Gospel. It is a fact if one wants to be “good priest” then it being a part of such associations from the first day of one’s ordination. Either join a group or found one: But do something. Seminarians in the Archdioceses of Denver Saint Paul-Minneapolis recently founded priestly associations of type such as Saint Pius recommends. I recommend that you read Haerent Animo soon. It will be good for you!